Portugal captain and Real Madrid Superstar Cristiano Ronaldo welcomes fourth child and daughter Alana Martina with girlfriend Gorgina Rodriguez. 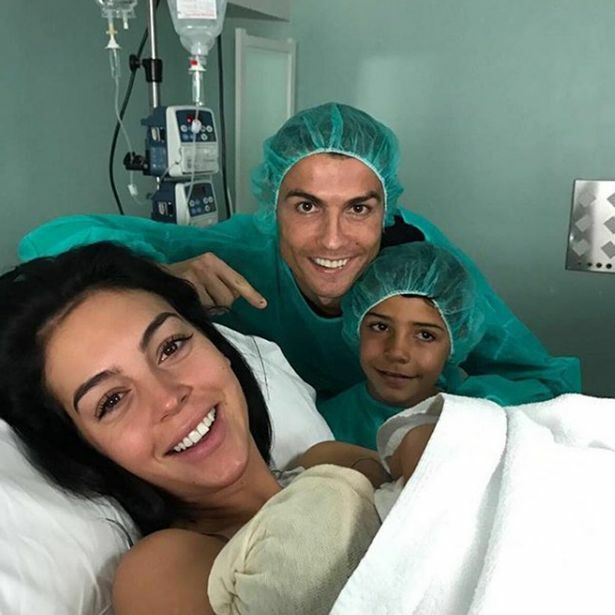 The FIFA best player of the year took to twitter accompanied with image to announce the birth of his daughter in a Madrid hospital to the world alongside his eldest son Cristiano Jnr. He said in Portuguese "Alana Martina just born! Both Geo as Alana are very well! We are all very happy!''. This will be the forward fourth child. He had two earlier this year, reportedly through a surrogate mother. He made his relationship with Rodriguez public last year and she has been with him all through and most recently the FIFA best player Awards.